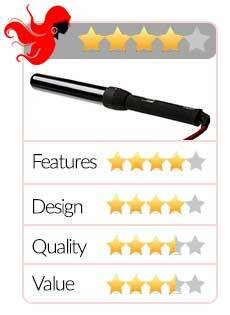 Cortex 4 In 1 Pro Curling Iron Review - Should You Buy It? Wouldn’t it be nice to have a new hairstyle for all the special events you need to attend? Definitely. But to have several styling tools in your arsenal would mean having to spend a lot of money to buy them all. Not to mention, you probably don’t have enough space in your dresser for all these things. 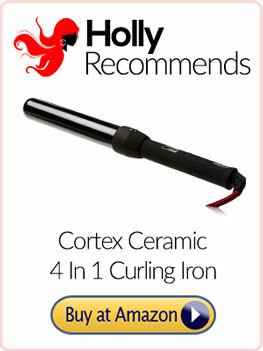 Good thing there’s the Cortex 4 in 1 curling iron. It comes with 4 curling rods of different sizes so that you can simply pick the rod that will help you achieve the hairstyle you want. You can have loose wavy curls or tight curls with this styling tool. But is it worth your money? Cortex Ceramic 4 in 1 Curling Iron – Now Available at a Great Price on Amazon! This Cortex curling wand set includes 4 interchangeable heads (rods) that are made of 100% ceramic and are equipped with Ionic Technology. Sizes of the heads are: ½ inch, 1 inch, 1.5 inches and 2 inches. It has an 11’ heat resistant textile cord. It has a programmable auto Shut Off feature and adjustable Digital Temperature Display. It comes with a limited Manufacturer Lifetime Warranty. This versatile Cortex curling iron lets you create curls of all sizes so you can get the style you want without having to use a different tool each time. The clipless curling iron also has 4 tourmaline and ceramic barrels that are easily interchangeable with sizes ranging from 0.5 to 2 inches. It is equipped with far infrared technology so that heat is spread evenly, thus preventing damage to the hair even with regular use. The temperature can reach 450F but its digital display enables you to adjust the setting according to your hair type and preferences. And because it has an auto shut off feature, you don’t have to worry about accidents (such as burning your fingers). With this Cortex wand, you can have sassy ringlets, elegant large curls or waves to suit your mood or the occasion. This product is a pretty popular tool and this isn’t really surprising. Its versatility is a real come-on. After all, why would you have to buy different curling irons to achieve a variety of curls when you can simply buy this curling iron set? When you put it this way, buying this Cortex curling iron makes a lot of sense. What we also like about this tool is that you can adjust its temperature to suit your specific preference. If you don’t want it to be very hot because you’re worried that it might damage your hair, then you can simply choose the lowest heat setting (140F). On the other hand, if you have very stubborn hair, then you can always opt for the maximum setting which is 450F. And on the aspect of temperatures, it’s also worth mentioning that this wand can maintain the heat very well. So what you get are great curls that will last all day. If you’re tired of curling irons that can produce so-so curls that will only stay for a couple of hours, then this product may just work for you. Even if you have thick and long hair, this isn’t a problem for this curling iron at all. Another advantage of the Cortex 4 in 1 curling wand is that you get to save money and what you get with your purchase are 4 different sized wands to achieve different kinds of curls. 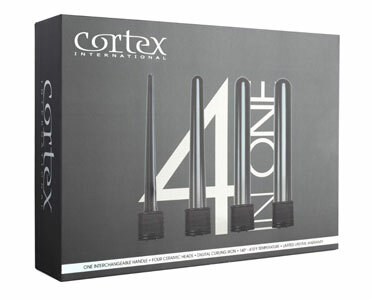 If you were to buy 4 different curling irons, you’d probably spend a lot more than the cost of 1 Cortex 4 in 1 wand. Finally, the programmable auto shut off feature will enable you to take control of how long you want it to stay on. One of the things that people will probably mention the first time they research about this product is the price. But if you were to take into consideration the cost of buying several curling irons to achieve different sized curls, you will actually end up paying more. So we can’t really consider this a drawback. However, there are a few issues with this product. First is durability. We’ve found out based on our research that it doesn’t tend to last long. In fact, some users have complained that theirs broke down after just a few uses. The customer support department of Cortex is also another problem. Some have reported that it’s very unreliable. What Do Customers Have to Say About It? There are close to 500 reviews of this product on Amazon and it has a rating of 3.8 stars out of 5. So we can say that the general consensus for the Cortex 4 in one curling iron set is good… but not great. While many buyers have praised its versatility and its ability to really give you nice curls that will last all day long, many have also complained that their curling iron only lasted a few months. Some have lasted over 6 months and some have even been using theirs for several years, but with the Lifetime Warranty, getting a replacement should not be a problem. If you like to have curly hair and you prefer to have some variety in your hair styles, this curling iron set might be what you need. It costs more than regular curling irons but it offers more flexibility and it’s quite versatile, so you’re really getting more for your money. But if you’re looking for a cheap curling iron, then you may need to look for other options. On the other hand, if you think this product meets all your requirements in a wand, then we strongly urge you to buy from a reputable seller to make sure you’re not getting a fake or damaged Cortex product. 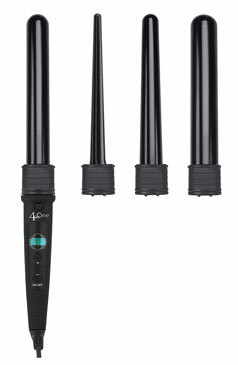 Click Here and Get a Great Deal on the Cortex Ceramic 4 in 1 Curling Iron Set at Amazon!